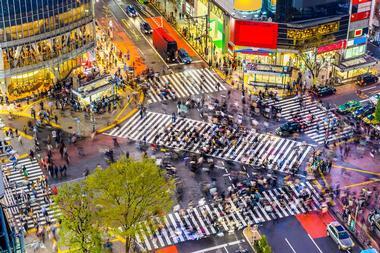 Tokyo, Japan is one of the biggest and most crowded cities in the world. Summertime brings many visitors at least partly because many schools have breaks. This brings crowds and high room rates during the hottest and most humid time of the year. Winter is chilly but usually not cold in Tokyo. There are few crowds and room rates are low, but part of the charm of Tokyo is the beauty of its seasons and winter is not a pretty season in Tokyo. The fall is the best time to visit Tokyo, Japan because the weather is pleasant and the fall foliage is beautiful. 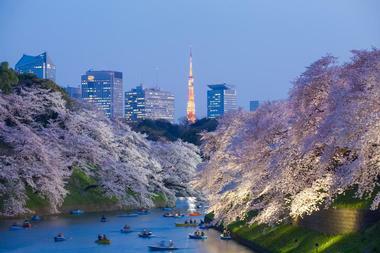 Spring time sees pleasant weather and unforgettable flower blossoms including the famous cherry trees. In January, Tokyo gets the coldest temperatures out of the year with the average high and average low temperatures ranging between 46°F (8°C) and 36°F (2°C). It’s also the driest month of the year with just 43 mm of rainfall. February brings slightly warmer temperatures during the day with the high temperature average increasing by 2 degrees to 48°F (9°C). Meanwhile, the low temperature average remains the same at 36°F (2°C). In March, rainfall averages increase to 94 mm. The average high temperature sees a sizeable increase to 54°F (12°C) alongside the average low temperatures which goes up to 41°F (5°C). Tokyo Weather in April: Spring weather is beautiful in April. The high temperatures make a nearly 10-degree increase to 63°F (17°C). The low temperature averages make a similar jump to 50°F (10°C). May sees warmer temperatures with spring near its end. The average high temperature climbs to 70°F (21°C) while the average low temperature increases to 57°F (14°C). In June, the precipitation average is at its highest for the whole year at 181 mm despite the start of the summer season. Temperatures are at 75°F (24°C) for the high temperature average and 64°F (18°C) for the low temperature average. July as summer continues, the average high and average low temperatures measure in at 82°F (28°C) and 72°F (22°C) respectively. Tokyo Weather in August: The hottest annual weather comes to Tokyo in August with average high temperatures peaking at 84°F (29°C). The average low temperature is also at its peak at 73°F (23°C). Meanwhile, it’s a beautiful time to head to nearby lakes and beaches as the sea temperature is at 79°F (26°C). In September, precipitation averages are relatively high with 181 mm of expected rainfall. The high temperatures average at 79°F (26°C) while low temperature averages are at a cool 68°F (20°C). October sees the climate continuing to cool with the average high temperature decreases by over 10 degrees to 68°F (20°C). The average low temperature decreases by nearly the same amount to 59°F (15°C). Meanwhile, October also receives the lowest daily average of sunshine with just 4 hours per day. In November, the precipitation average decreases to 84 mm. The average high and average low temperatures also decrease significantly to 59°F (15°C) and 48°F (9°C) respectively. Tokyo Weather in December: Despite the winter season, December receives the highest daily sunshine average of the year with 6 hours of sunlight per day. The average high temperature drops down to 52°F (11°C) while the average low temperature sinks to 39°F (4°C). 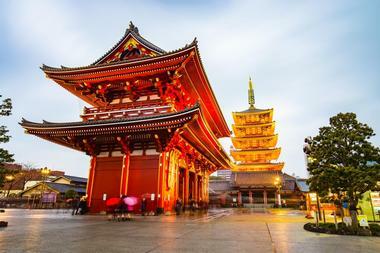 There’s no shortage of incredible things to see and do in Tokyo, but as one of the most populated cities in the world, planning ahead can make the difference in your trip. The best time to visit Tokyo for the best climate, temperature and volume of tourists is definitely between the fall months of September and November. If you want to visit when tourist crowds are at their lowest, the best time to come is in the winter months of December through February. 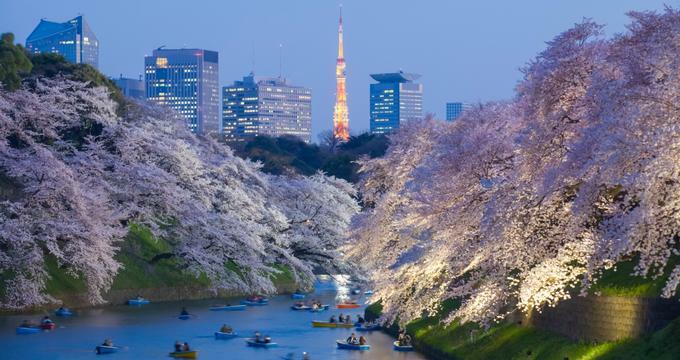 Tokyo’s parks and urban spaces are at their best in between March and May, just make sure you’re ready for the crowds as well. There are several ways to arrive in Tokyo. Tokyo has two airports: the Narita International Airport serves most international flights and is located 41 miles outside of Tokyo. The Haneda Airport is much closer to downtown Tokyo and is mostly used for domestic flights. For train lovers, be prepared for the fastest train ride in your life! The Shinkansen bullet trains arrive in Tokyo at one of several stations. You can also arrive in Tokyo by boat: although there are no international ferry services, you can travel by domestic long-distance ferry. You can arrive in Tokyo by car, but driving in Japan is a nightmare. 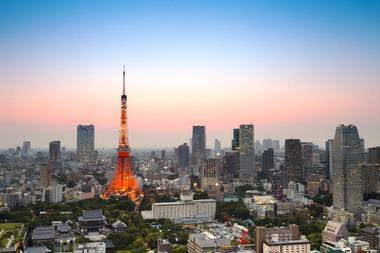 Tokyo has two airports: the Narita International Airport and the Haneda Airport. The Narita International Airpot is 41 miles from downtown Tokyo. Japan Railway has an Airport Station at Terminal 1: it takes 60 minutes to arrive at Tokyo Station in the city. The Narita Sky Access Line Skyliner takes 41 minutes to arrive at Ueno Station in Tokyo. There are two different bus services from Narita: Limousine Bus and Express Bus. These take from 60 minutes to 125 minutes because of traffic congestion. Taxis are also available but expensive. There are several ways to get from Haneda Airport into the city: by train, tram, or bus. 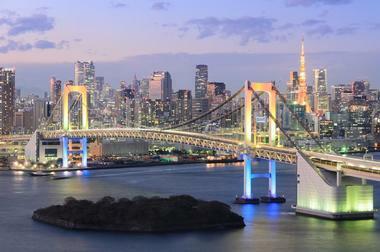 Because of Haneda’s proximity, these trips take far less time than from Narita. There are several ways to get around the sprawling megatropolis of Tokyo, but using the Metro system is by far the best way to see the city. This system uses both subway and train cars, and, like the Shinkansen, they are very fast and efficient. The only downside of using this system is that it becomes unbelievably crowded during rush hours. Looking at maps of the system might seem daunting, but the Metro really is the best way to get around, especially after you get familiar with it. If the Metro is easy to use, the buses are the opposite: they are not easy to use. There are several water buses that can be fun to try. Other than the forms of public transportation, there are several other ways that you can use to explore Tokyo. Seeing Tokyo on foot is not possible: the only exception is if you use public transportation to take you to a particular neighborhood that is of interest to you, and then explore that area by foot. Streets are convoluted and the system of naming streets and numbering properties is beyond comprehension. Take a fun walk and when you get lost find a Metro system: then you’re safe! Because of the notoriously congested and often totally stalled traffic, using a taxi or, worse, trying to drive on you own is not recommended. Sushi is the first thing that comes to mind when people think of eating in Tokyo. Many people confuse sushi, which is rice and other things wrapped up tightly in seaweed, with sashimi, which is raw fish. So if raw fish is not something that appeals to you, you can still try different kinds of sushi that contain things like cucumber without raw fish. 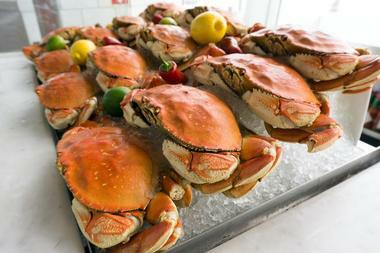 Many restaurants have plastic models of food in display cases so that without an English language menu, you can just point and order your meal. Other Japanese meals to try in Tokyo include sukiyaki, soba and udon noodles, izakaya, and teppanyaki. It seems like Japanese people shop more than any other people in the world. No matter where you are and no matter what time of day or day of the week, shops are crowded with people. 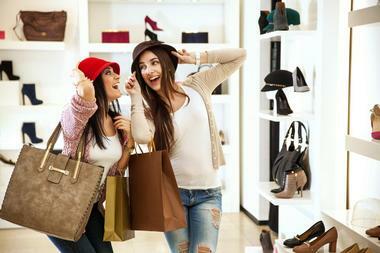 There are many large department stores and these are some of the most popular shopping venues. Shopping is even a family event: whole families get together for a Sunday afternoon of shopping. Shopping can be done just about anywhere in a city as large as Tokyo, but there are several areas that are particularly known for their shopping choices: these include Ginza Marunoouchi, Odaiba, Shibuya Harajuku Omotesando, and Shinjuku. First time visitors to Tokyo are in disbelief when they see the enormity of the city, the crowds, and the traffic. It is a huge city but it is cut up into small neighborhoods more or less like a gigantic jigsaw puzzle. What holds all of the jigsaw pieces together is the frame: this is the Yamanote Line, the commuter train that encircles Tokyo. From many of the stations on the Yamanote Line, other routes originate to take millions of commuters away from the center of the city out into the hinterlands. Marunouchi is the neighborhood next to the Imperial Palace; Hibiya is the business heart of the city; Ginza is the poshest shopping area; and there are many more. For a country that spent centuries in isolation, it is quite amazing that foreigners can now get married in Japan. 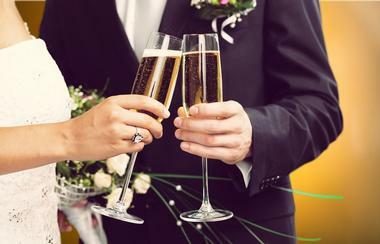 There is a good amount of paperwork that must be completed: a marriage registration must be completed and then the ceremony must be a civil ceremony. A religious ceremony does not constitute a legal marriage, but couples are welcome to have a religious ceremony after the civil ceremony. Some of the hotels where weddings are popular include the Peninsula Tokyo, the Keio Plaza Hotel Tokyo, the KKR Hotel Tokyo, many others. Some couples opt for the traditional wedding at a shrine: this can be a very beautiful experience. Tokyo offers many different kinds of accommodations. It is a very modern city, so there are no historic colonial period hotels like the Raffles in Singapore or the Oriental in Bangkok. Despite this, the hotels in Tokyo are known for their cleanliness, efficiency, and, most of all, for their superb service. There is one thing that many Tokyo hotels have in common other than their expense: rooms are usually noticeably small. Many of the hotels are five star luxury properties such as the Ritz Carlton, the Peninsula Tokyo, the Mandarin Oriental Tokyo, and many others. Ryokan are old Japanese-style inns. You often see these outside of Tokyo, but there are some inexpensive Ryokan in Tokyo.